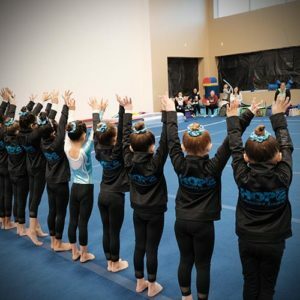 Our highly experienced coaches work with HOPE Gymnastics Academy’s compulsory and optional teams. Compulsory levels are 2 to 5, while the optional levels are 6 to 10. Compulsory and Optional Gymnasts competitive season begins in December every year. 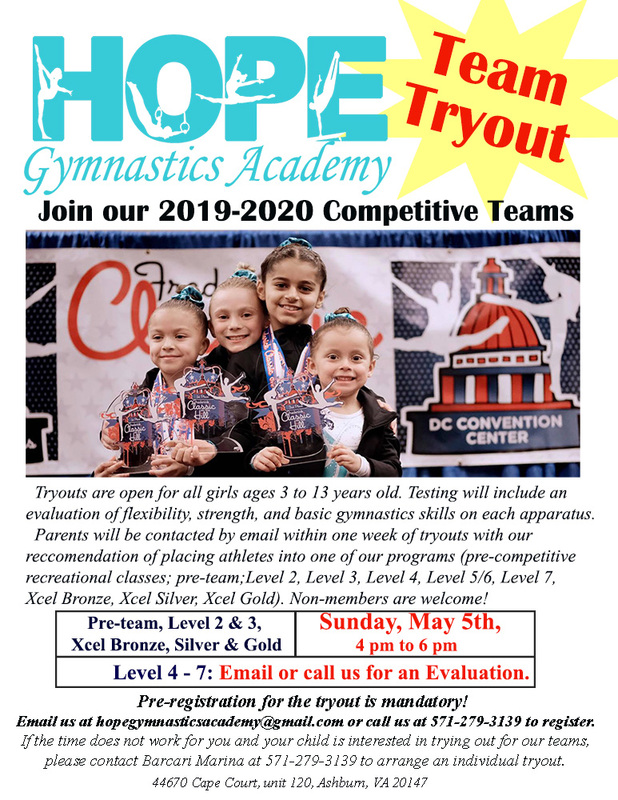 Our highly experienced coaches work with HOPE Gymnastics Academy’s compulsory and optional teams. Compulsory levels are 2 to 5, while the optional levels are 6 to 10. Compulsory and Optional Gymnasts competitive season begins in December every year. This program trains 9 – 20 hours a week. The athletes are required to compete compulsory gymnastics routines (level 2–5). This involves a mid- level commitment and requires the athletes to train year round with scheduled vacation breaks from training. Physical abilities evaluations will be conducted a couple of times a year to ensure proper development. This program trains 20-25 hours a week. The Optional Program includes level 6 to 10. This involves a high level of commitment and the athletes train year round. There will be physical abilities evaluations a couple of times a year to help the athletes ensure proper development. The XCEL Program is designed to offer a more accessible and general competitive experience outside the traditional Jr. Olympic Program, so that all different groups of athletes can participate. An upper level program in recreational and developmental gymnastics that focuses on developing children ages 6 and up. This program implements learning and perfecting gymnastics skills for gymnasts under the XCEL program who have been recommended by their instructors or who have succeeded in all previous recreational levels. All our gymnasts will enjoy learning advanced gymnastics and creative routines that they can perform in competitions. Children will be able to enroll in this class for up to 5 nights a week (Monday-Friday). Gymnasts who enroll more than 2+ times a week are eligible to be part of our XCEL program. The XCEL program is sanctioned by USA Gymnastics under recreational level; children will be enrolling into USAG XCEL program in order to participate in the Advanced Class. If your child is not interested in competing and wants to continue to grow and have fun in a team environment, they are still welcome in the XCEL program.